Every February, people across the UK celebrate the LGBTQ+ community, but can we achieve this celebration of diversity all year round? Recent research from Stonewall highlighted a general lack of acceptance towards LGBTQ+ staff, with more than a third feeling that they needed to keep their sexual preference a secret at work. Also, nearly one in five LGBTQ+ people who were looking for work reported that they were discriminated against because of their sexual orientation and/or gender identity. The issues faced by the LGBTQ+ community require proactive engagement, rather than companies simply paying lip service to diversity and inclusion (D&I). It is certainly not a tick-box exercise and is more complex than simply increasing numbers. Avoid skirting around uncomfortable issues, instead, opt for frank and open conversations. Senior management should listen to and value all opinions. Management can then start to detect successful and deficient D&I areas and collect data to determine how best to proceed. A report conducted by Ernst & Young (EY) Ireland found that almost 68% of 150 Irish companies surveyed have not completed a D&I assessment. Do employees receive D&I training and, if so, how often? Putting an emphasis on moral importance may enhance the ongoing conversations around diversity, and training conducted on a long-term basis is more likely to provide successful change. Give D&I training more relevance by offering skill training in the same session e.g. managing diverse teams. 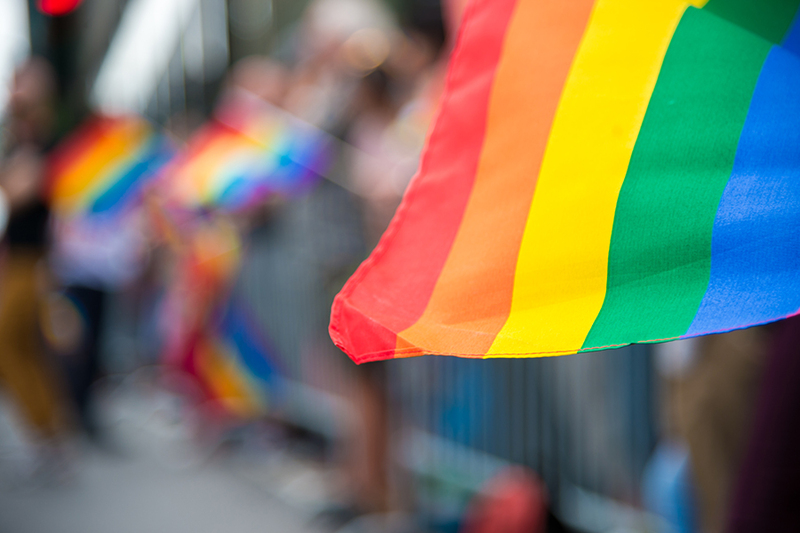 Employers could have greater involvement in LGBT campaigns, and organisations can learn lessons from the top LGBT-inclusive employers in the UK to ensure that workplaces formulate and implement their policies correctly. Management needs to be held accountable. They need to be genuine and passionate advocates of D&I if there is to be any substantial change. However, any change to organisational culture can be met with resistance. Management need to adopt a coherent D&I narrative and initiatives which are meaningful and relevant to employees and stakeholders. Constant refinement is critical, given the sometimes unpredictable economic climate. Inclusion is also about accessibility. Professionalism incites the pressure to portray a certain character; a loyal employee, disapproving of part-time work, and willing to undertake additional responsibilities. This thinking needs to change. A PWC survey of 10,000 workers found that millennials were especially eager for a positive work/life balance and 28% were disappointed in their employer’s performance on this. In the war for top talent, and to make workplaces more inclusive, employers need to pay attention to the needs of future workers and the importance of flexible-working opportunities. Be committed to monitoring progress but also celebrate diversity successes. Employees should know about initiatives and how they can help feed into these efforts. Communicating your achievements outside of the organisation may also increase your customer base, as well as motivating competitors to follow your lead. Continue the conversations and create opportunities to foster a culture of belonging. Next Next post: From big screen to any screen: is Netflix the new cinema?